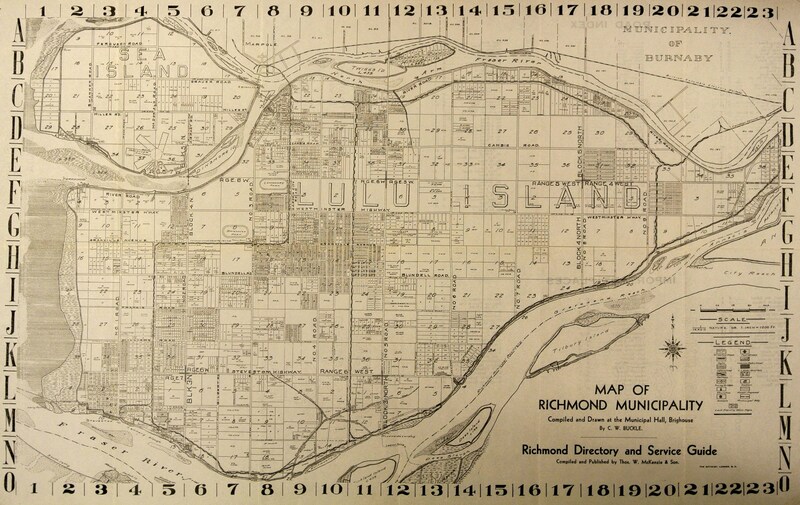 In 1936 the Township of Richmond assumed control of dyking and drainage activities within its boundaries by amalgamating its own works established by by-law with those of two other existing authorities: the New Lulu Island Slough Dyking District (NLISDD) and the Lulu Island West Dyking District (LIWDD). 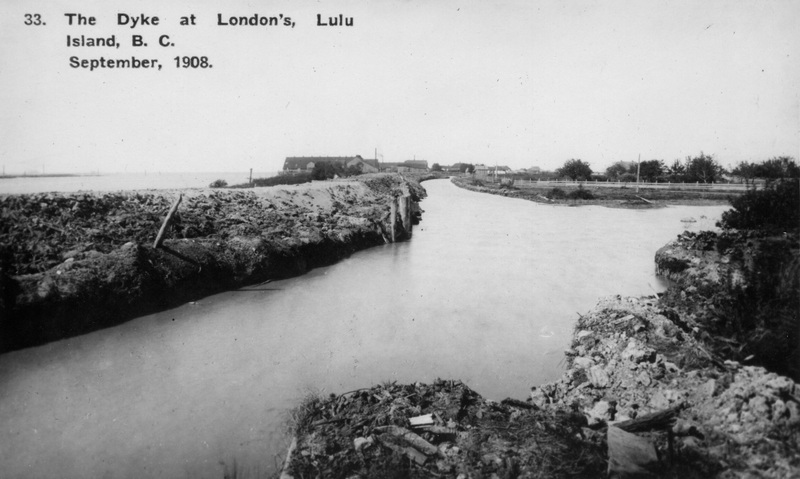 These two bodies had been established by petition of landowners to the provincial legislature: the NLISDD in 1900 encompassing the slough complex from Francis Road south; the LIWDD in 1905 largely encompassing the area west of No. 3 Road. Commissioners elected to administer these districts were responsible for appointing an engineer who drew up technical plans and assessments of the land benefited. 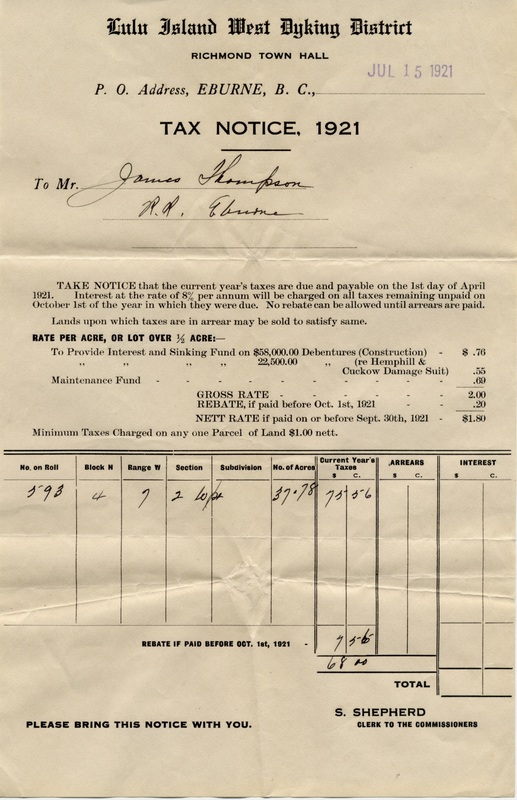 The City of Richmond Archives holds a wide assortment of records of these two bodies including minutes, assessment rolls, petitions and correspondence. 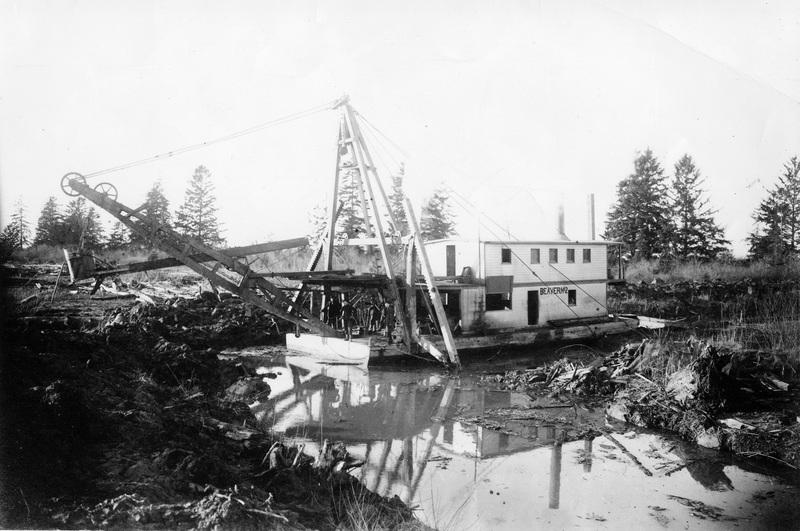 Many provide details of an evolving landscape, where drainage of land and protection from periodic flooding was crucial to the success of farming activities. 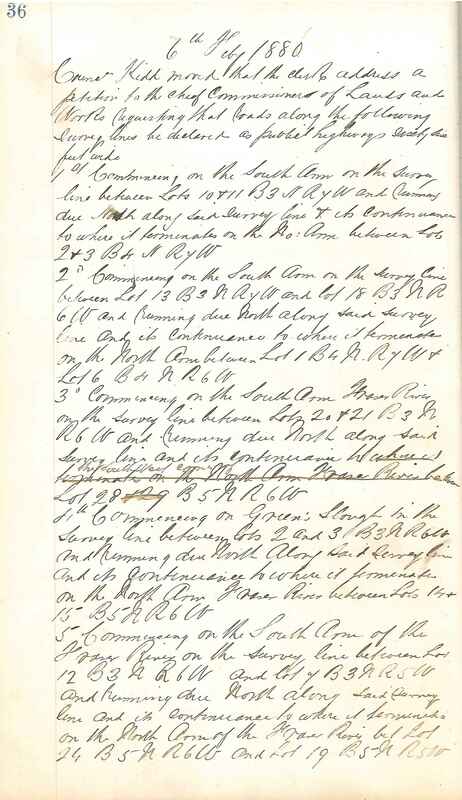 Because the land was taxed by these bodies to pay for works, there were detailed records kept of land valuation and plentiful communication between the commissioners and landowners, including minutes of courts of revision. The records provide a vivid picture of early agricultural land use and the transition from private to public dyking. In addition, Council minutes and bylaws, along with early records of the Board of Works, provide evidence of other dyking and drainage activities in the municipality, as well as of works after the dyking districts were amalgamated with the municipal government. The use of road names as opposed to numbers in Richmond provides residents with a great opportunity to understand the social history of their community. 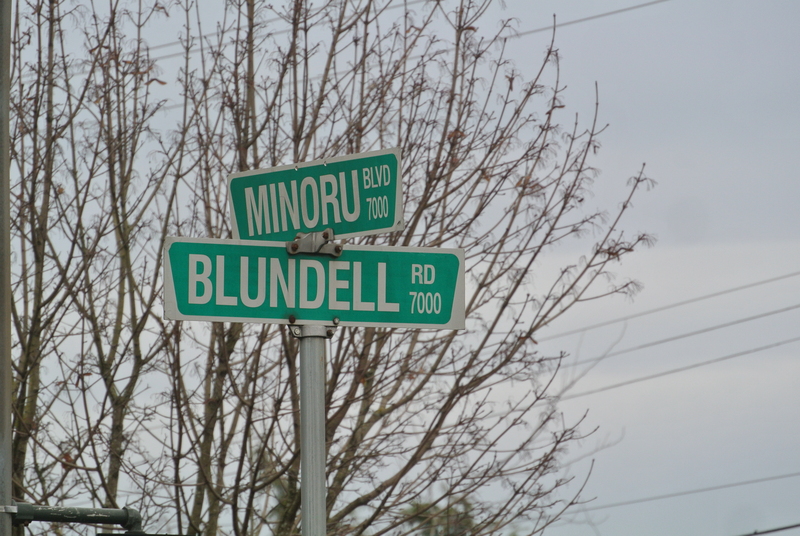 In a relatively young municipality such as Richmond, people may be lucky enough to meet a neighbour or individual who possesses the same name as the road on which they live, and then on further inquiry discover the identity and significance of that individual’s ancient (or not so ancient) family member. The early surveys of Richmond used a road numbering system for convenience, so the numbers themselves, while seemingly boring if you are not a surveyor by profession, have historical significance. Most residents of Richmond understand that the City’s main north/south numbered roads run parallel to each other at a distance of one mile between. Numbered east/west roads, however, had their names changed in the 1930s, making intersection identification a lot easier. 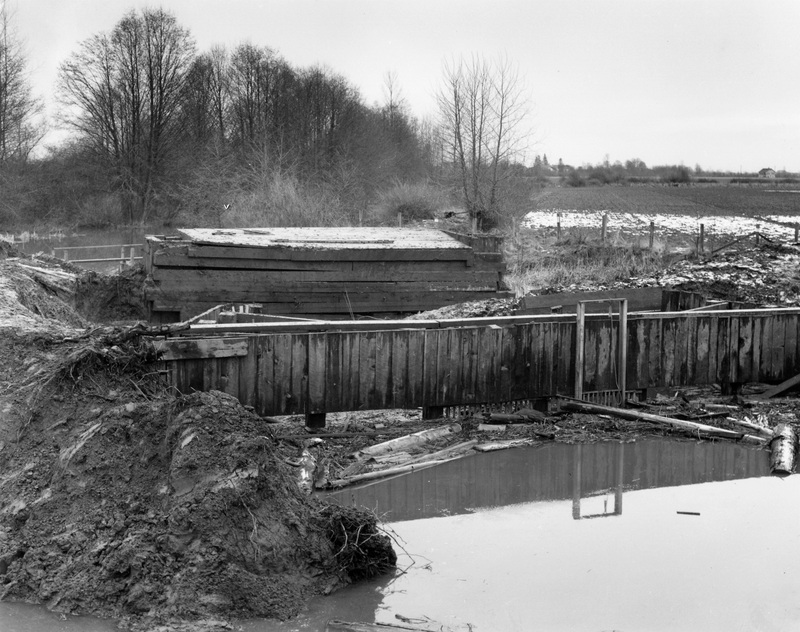 Steveston Highway used to be No. 9 Road – and No. 9 Road is now a north/south road in east Richmond; Blundell Road was No. 18 Road; Westminster Highway was No. 19 Road; and Cambie Road was No. 20 Road…. oh – and before that, it was No. 10 Road. And so on. 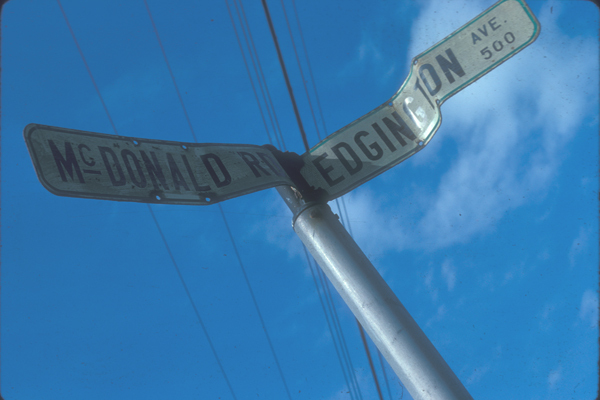 The process for choice and selection of road names in Richmond has been applied with solemnity, enthusiasm, practicality and fanciful desperation over the years, and gradually morphed into a more thoughtful and organized responsibility, with Council approved road-naming policies being adopted in 1979, 1984 and 1997. The policies also provide a guide to definitions for the address descriptors such as: “Court: A court is a cul-de-sac which cannot be extended. It may carry the name of the street from which it originates, but no more than one such court can be so named. The term ‘place’ can also be used for a court;” “Gate: a gate is a short street less than 106 m (350 ft.) in length connecting two other streets;” “Crescent: A crescent is a named street in the form of a loop, both legs of which terminate on the same street…;” and my own personal favourite since I live on one, “Drive: a drive is an irregular or winding street over 230 m (750 ft.) in length and connecting two other streets”. So regarding the title of this blog – Richmond’s street names have come to our community from early pioneers, Richmond Good Citizens, land-owners and farmers, residents who died in their duty to country during the First and Second World Wars, members of royalty and their horses, politicians, general public sentiment, developer fancy and corporate sponsorship. The names chosen are not carved in stone, and a look at some of the now defunct names is an interesting study. Research into the origins of Richmond’s road names is a fascinating and educational exercise. Sometimes the origins are lost in the mists of time, with no recorded evidence of why the name was chosen. Over the coming months, I’ll be taking a closer look at the Archives’ records and sharing some of the mysteries, secrets and stories behind the names, via this blog.